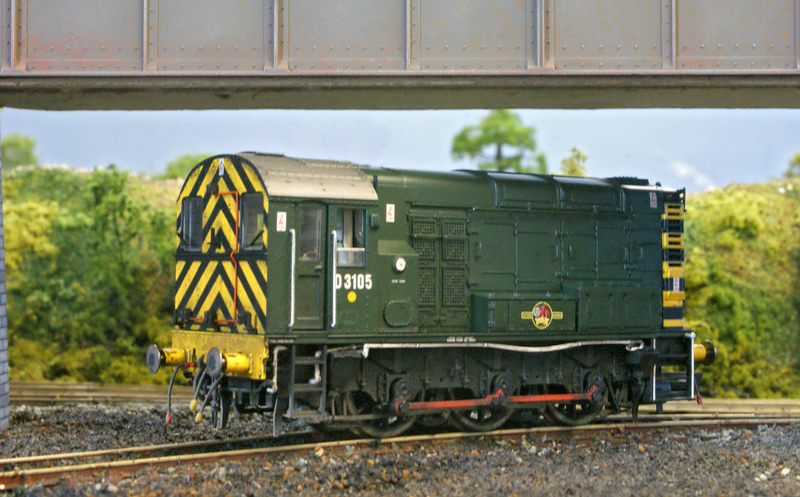 Here we see our Class 08 shunter, D3105, posing beneath the girder bridge on the line that leads to the diesel servicing depot. This locomotive is primarily used for shunting wagons in the brewery but does occasionally venture further afield. She has recently returned from Mikron Models having been lightly weathered by Alex and, once again, he has done a terrific job. 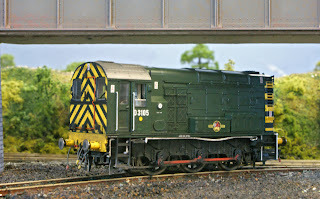 She joined our fleet a few months ago and came with sound factory-fitted by Hornby. This sound, however, we felt was totally unsatisfactory and so she was soon on her way to be reblown at Howes. As for the prototype, D3105 became 08 080 but was actually withdrawn quite early in November 1980.